I finally mastered keeping the bed made! It’s all about simplicity and sanctuary. No fussiness – limit the number of linen pieces and definitely limit the number of pillows. I find that I cannot have decorative pillows on the bed – they are clutter to me. I have two cotton comforters (one for cold months and one for warm) and my sheets. I have one blanket for colder months. When I get up in the morning, first thing I do is find the top sheet and pull it up and straighten it out and then the comforter over me while I am still in the bed. Then I slip out of the bed while simultaneously pulling the comforter and sheet up under the pillows. This is so easy, I’ve taught my daughter to do it. 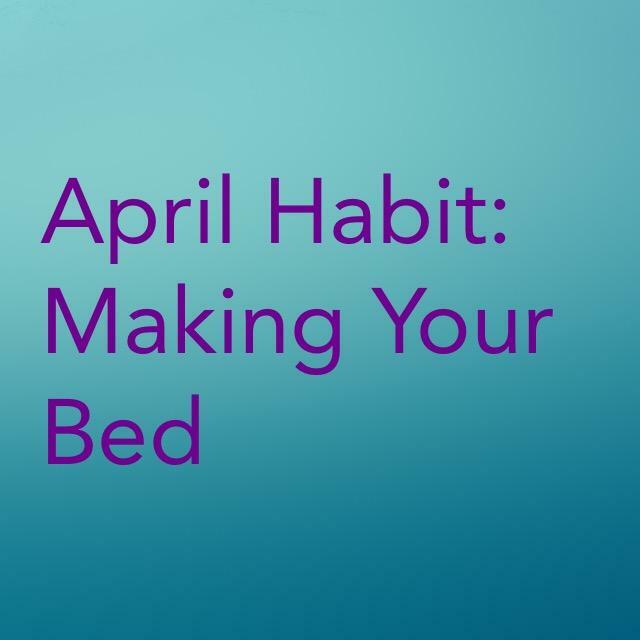 I’m also working to stop making the bed a work surface or a dumping ground – it is my place for sacred, peaceful slumber! This entry was posted in Habit of the Month and tagged flylady, get organized, Habit of the Month, peace, routines. Bookmark the permalink.